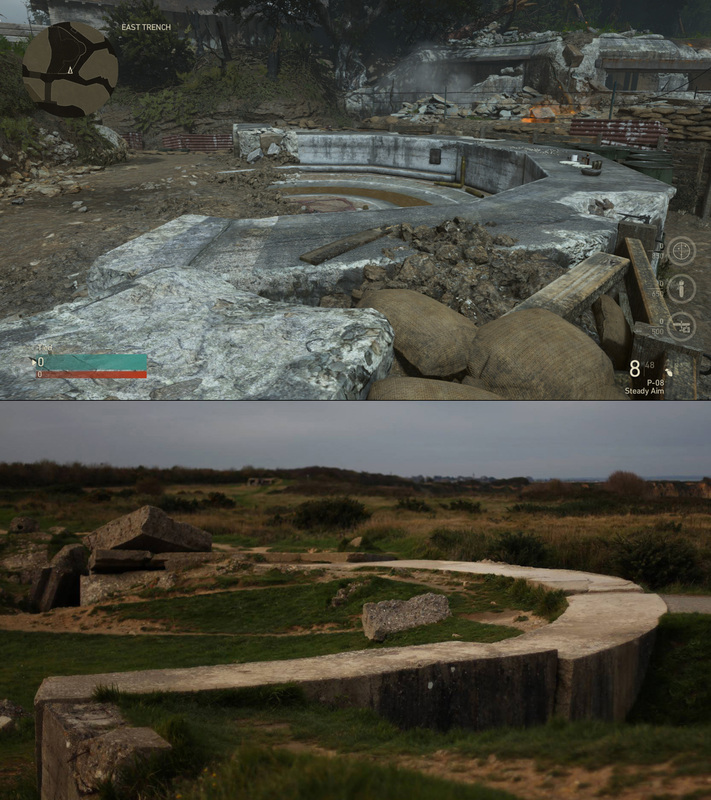 How close are Call of Duty: WWII‘s maps to the real life battlefields on which they were based? 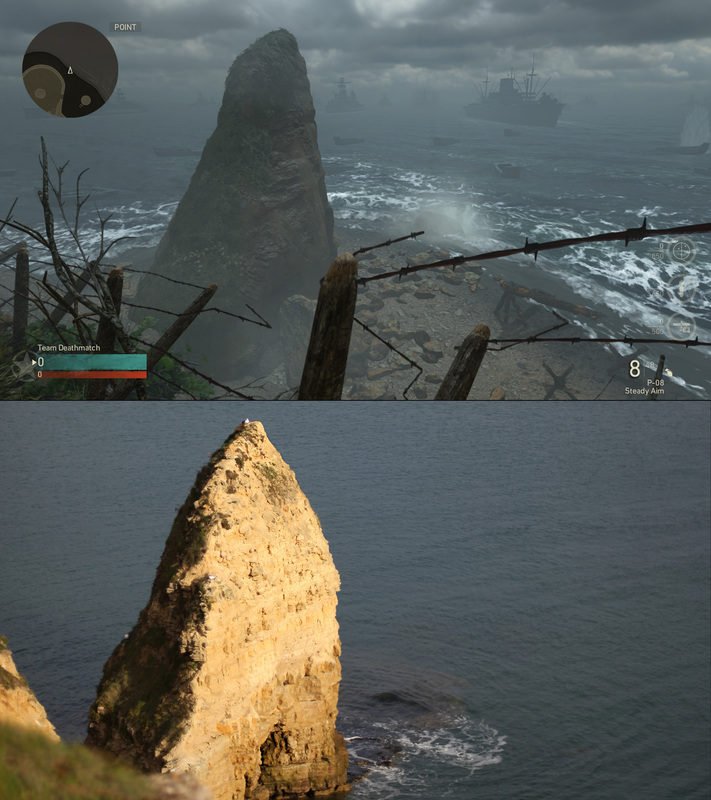 See for yourself in this gallery of screenshot-to-photograph comparisons. 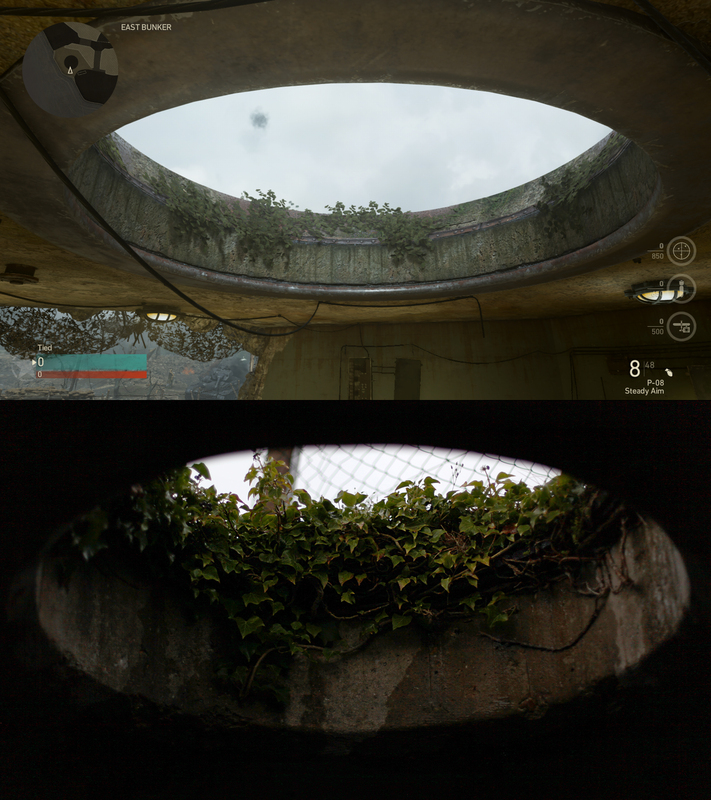 These photos were taken in Normandy, France at Pointe du Hoc, Omaha Beach at Saint-Laurent-sur-Mer, at the Longues-sur-Mer battery (La Chaos) and one (the circular, overgrown bunker ceiling opening) at Blue Beach, Puys, Dieppe. 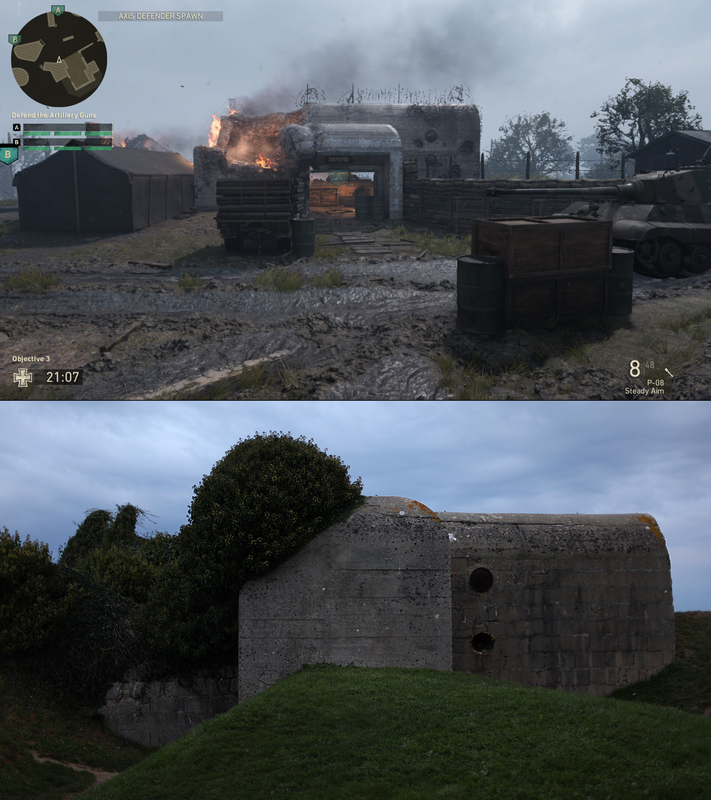 The screenshots were taken from Call of Duty: WWII on an Xbox One. 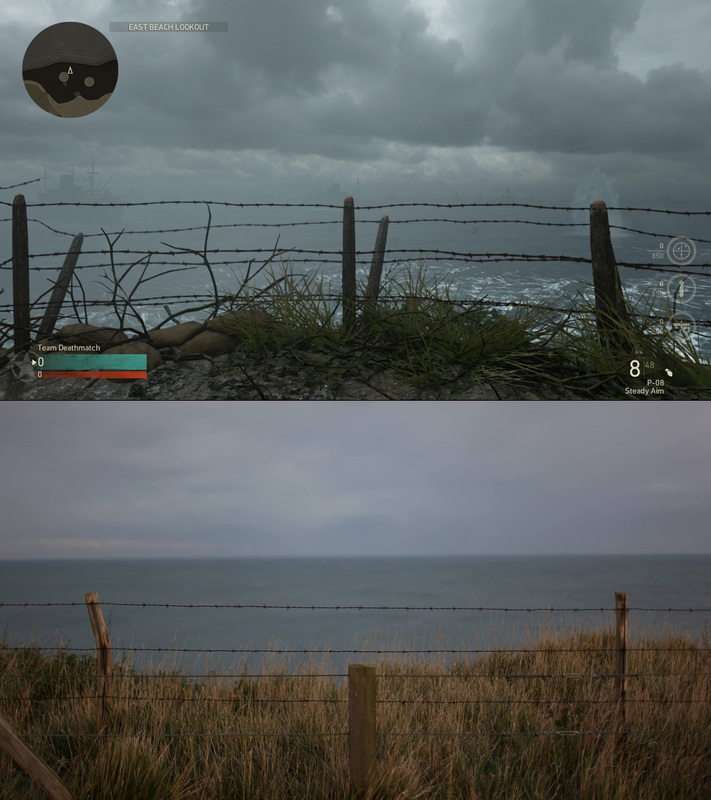 Late last year I embarked on a tour of significant WWI and WWII battlefields in France, Belgium and the Netherlands. 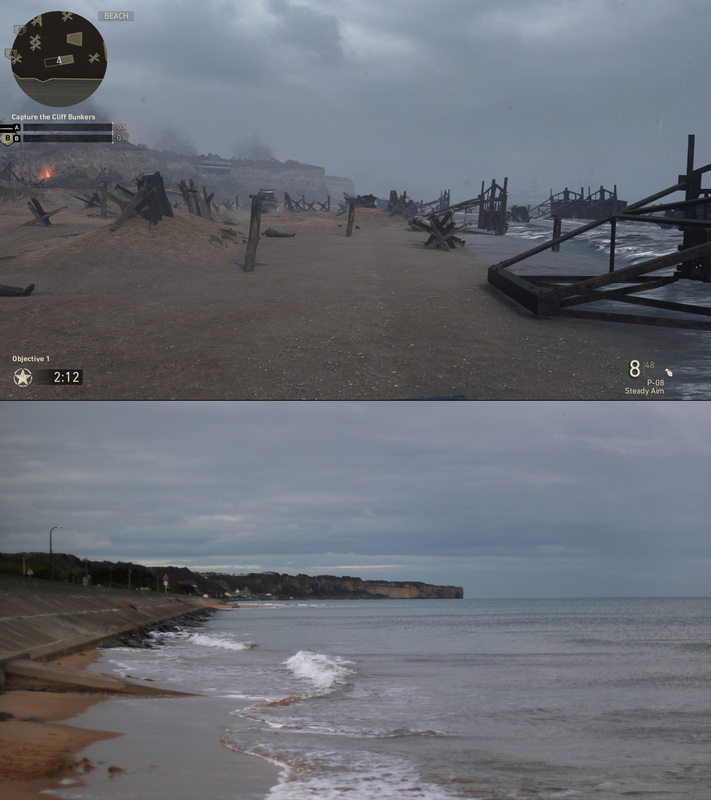 As it happens a number of the sites I had the honor to visit and photograph are also represented as maps in the new Activision title, including Omaha Beach and Pointe du Hoc. 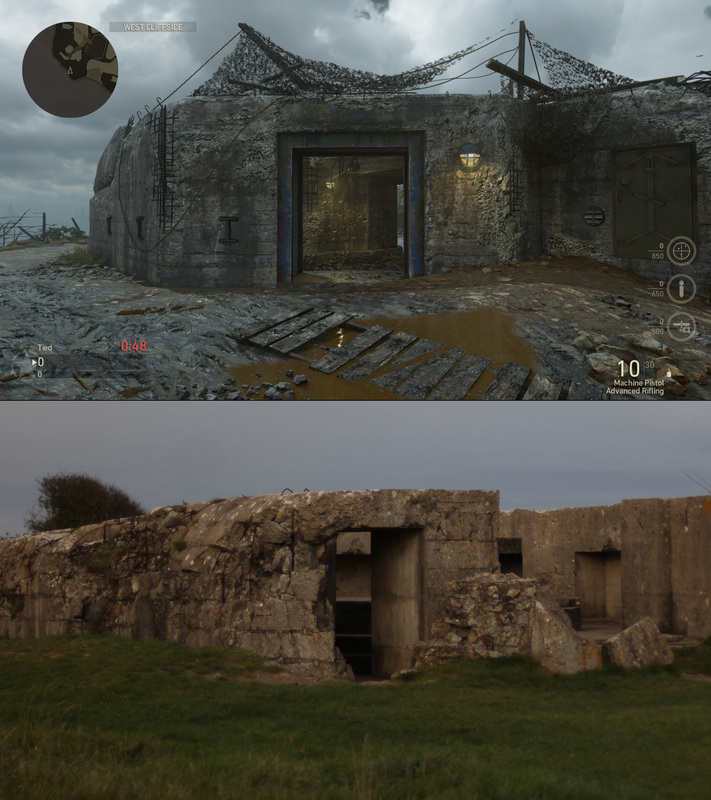 Activision has a blog post with some detail around the historical significance behind these real locations where fierce engagements took place during World War II. My Grandfather landed on Juno Beach on D-Day with the No. 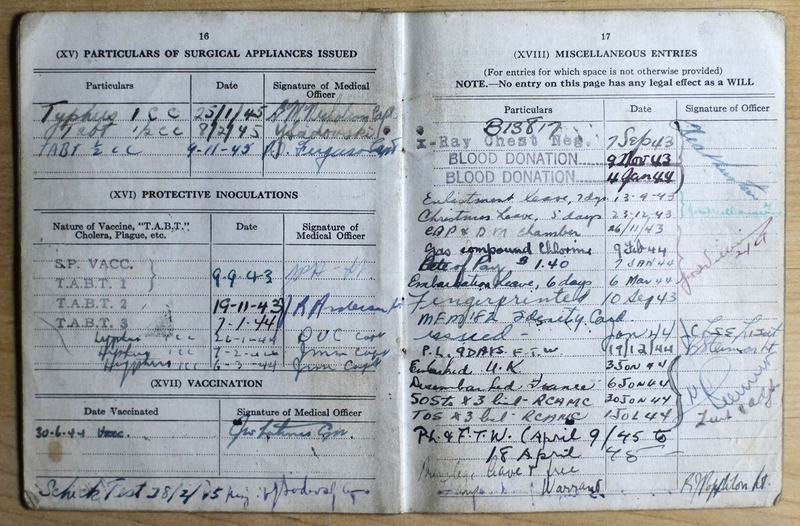 22 Canadian Field Ambulance Unit of the Royal Canadian Army Medical Corps. He spent the month of June 1944 in, and around, Beny-sur-Mer, in late June 1944 he was injured and evacuated. I set out on this battlefield tour with my father and one of my brothers so that we could consider the experience of my Grandfather. Pages from my Grandfather's WWII Service Book. Note "Disembarked France 6 Jun 44," also known as D-Day, about 3/4 of the way down on right-hand page. 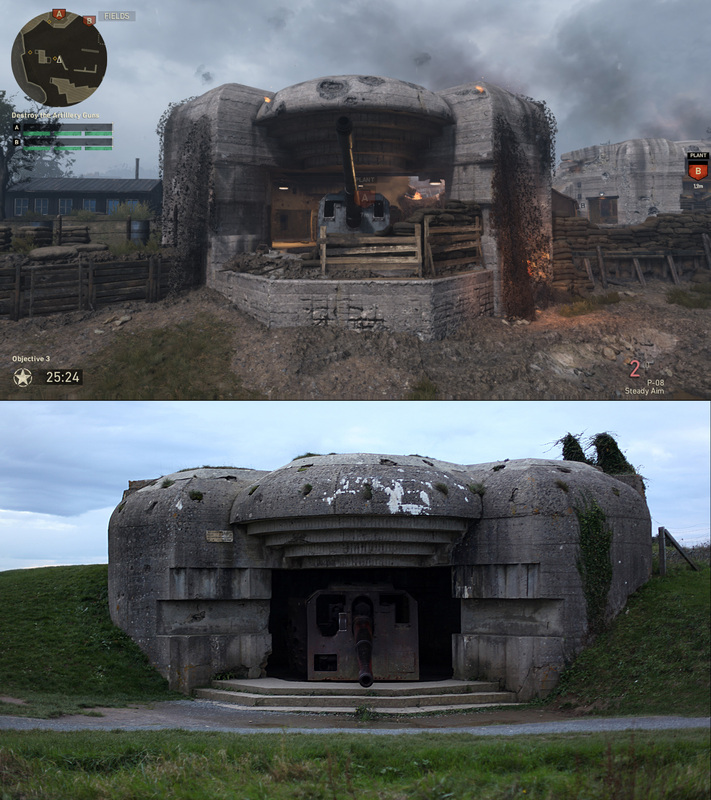 The tour began on November 4th, 2017, when I realized Call of Duty: WWII was to be released on November 3rd, just one day before our scheduled departure, I decided that I would bring my Xbox in the hope that my brother and I could visit historical battlefield sites during the days and play through the campaign in the evenings at the hotels. We completed the campaign on our last evening in Nijmegen, Belgium after visiting the John Frost Bridge (A Bridge Too Far), the Holten Canadian Military Cemetery and the Canadian Legion 005 earlier that day. 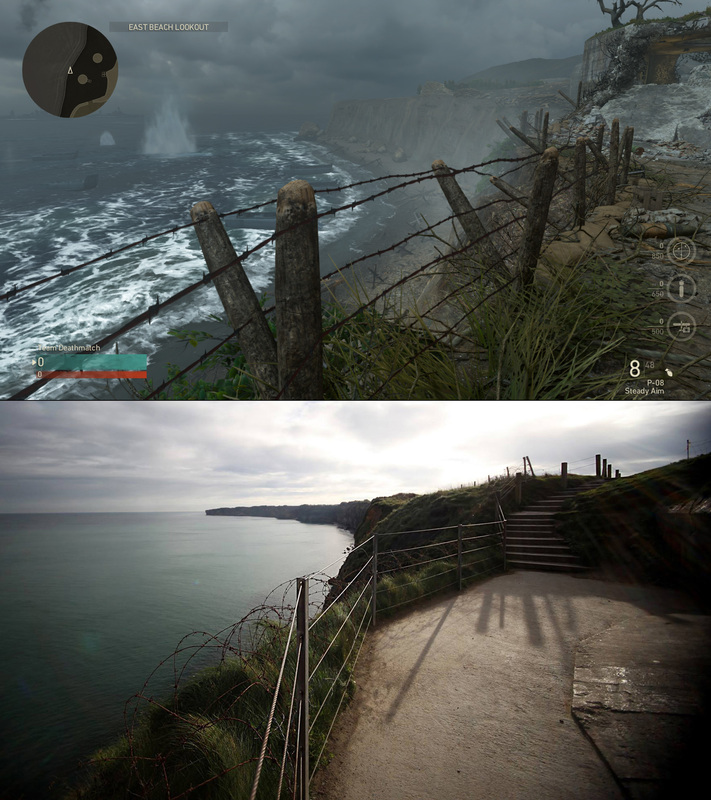 Over the course of the 10 day tour I took over 3,000 photos from which I was able to draw these comparison shots. 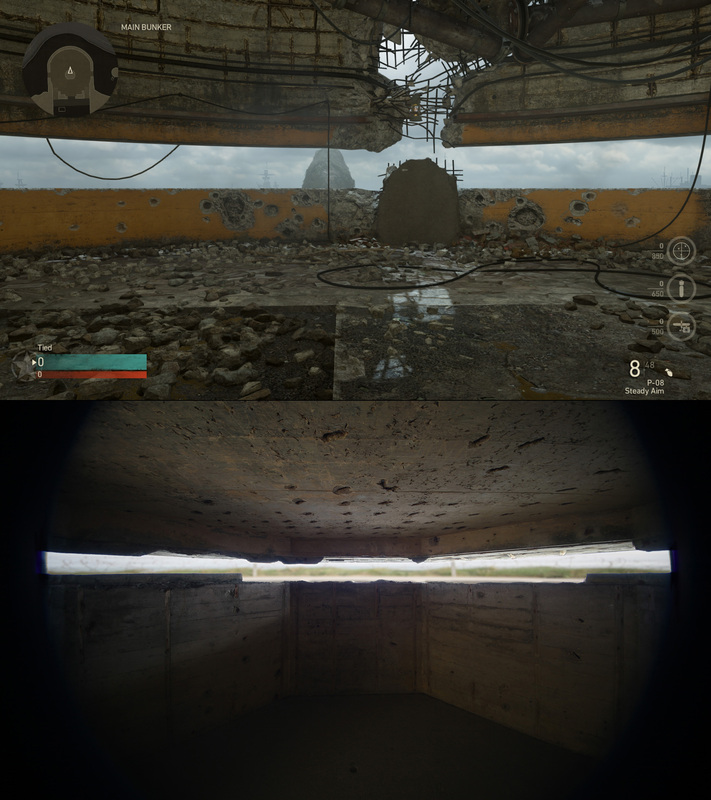 Additional photos of these sites, and of the many others we visited, can be viewed here. Please contact me if you wish to inquire regarding usage rights. 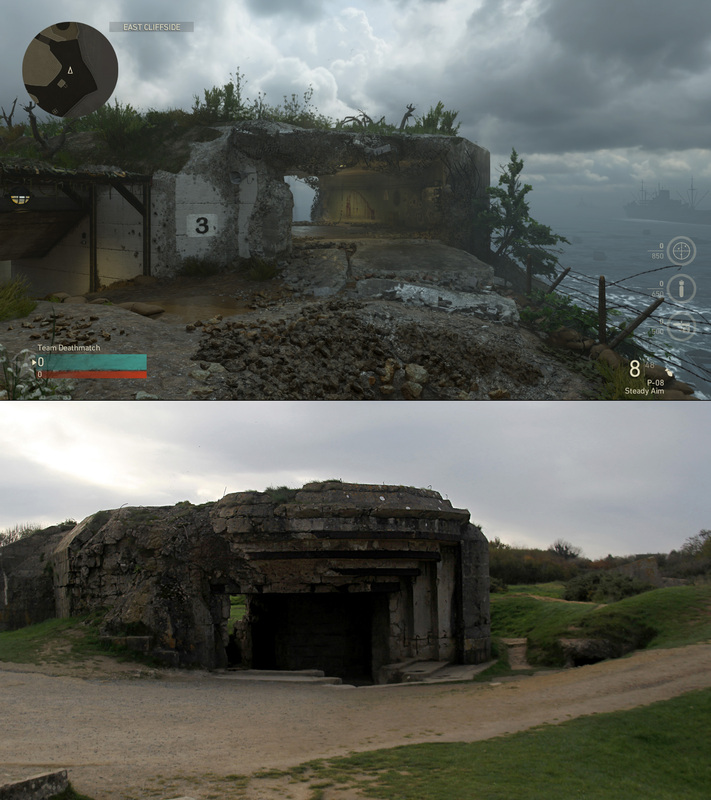 The hero image is a screenshot from the Call of Duty: WWII Pointe du Hoc map split with a photograph taken at Pointe du Hoc in Normandy, France. 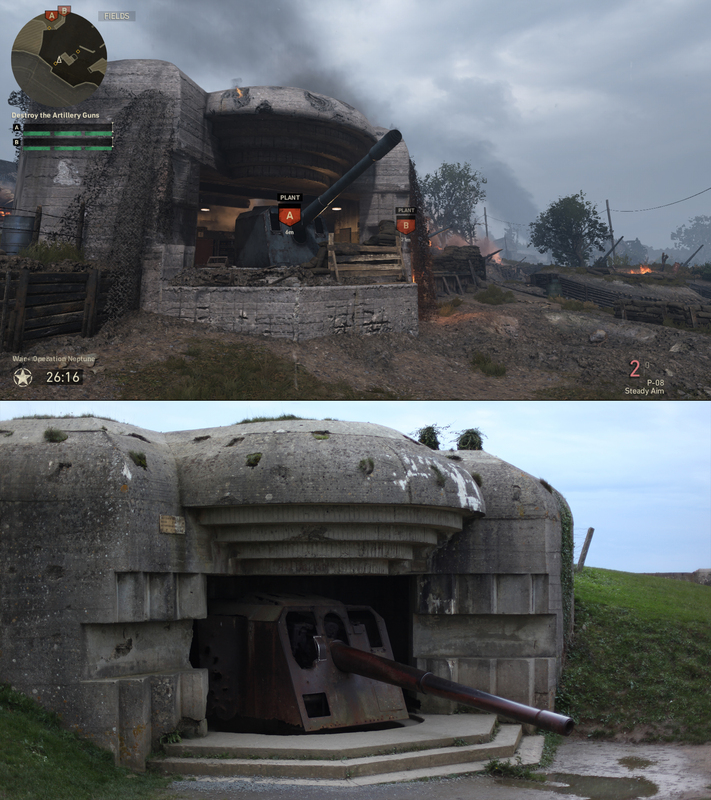 Special thanks to The Battlefield Tours for providing a top-notch tour experience. All photographic images Copyright © 2017-2018 Phil Tucker. 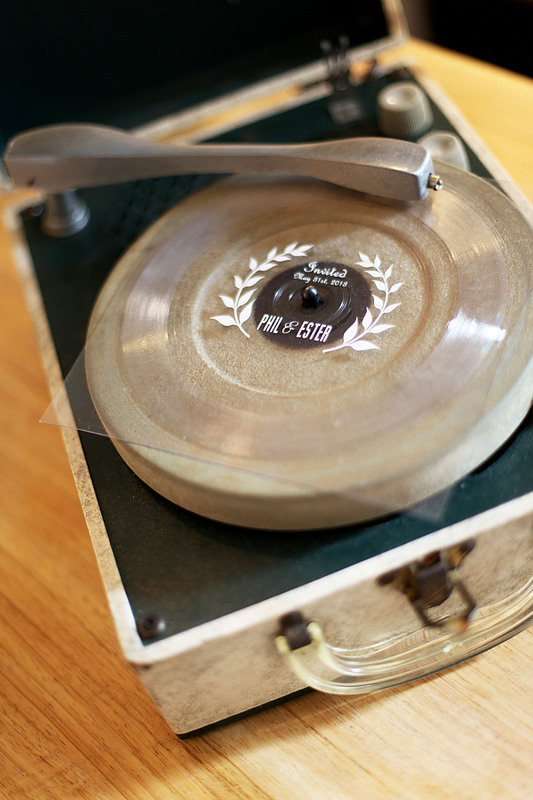 ACTIVISION, CALL OF DUTY, and CALL OF DUTY WWII are trademarks of Activision Publishing, Inc.
My wife and I enjoy music immensely and are both enthusiastic musicians, with that in mind we decided to have vinyl “flexi” records cut for our wedding invites. 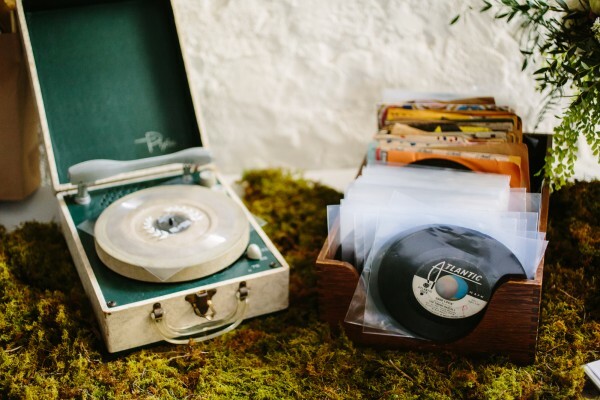 You probably remember the flexible records or flexi-discs that sometimes came in magazines, or with children’s books — turns out the rumours of their demise are greatly exaggerated, they’re still around, perhaps even making a comeback. After some preliminary investigation of the process we realized that dealing with a commercial recording just wasn’t going to work, copyright issues and permission issues would’ve bogged us down for months — so we decided to write and record our own collaborative instrumental song. A fun little tune we titled “Invited” was the result of a feverish week of writing, re-writing and recording (and re-recording). The next hurdle was finding out the who and how of having them pressed, cut, printed, etc. The first place we found was Pirate Press but they were somewhat unresponsive and not at all impressed with our timeline or order size. We needed only about 150 and we were hoping to have them in 3 to 4 weeks, the regular turn-around is 5/6 weeks. Another place overseas (Northern Record Pressing, Norway) was quickly crossed off the list due to distance and our time constraints, in retrospect they may have worked out since we ended up dealing with international shipping anyway. With time running out I contacted David Read, The Vinyl Record Guru. David was friendly, helpful and while cautious regarding our timeline was willing to take on the project. 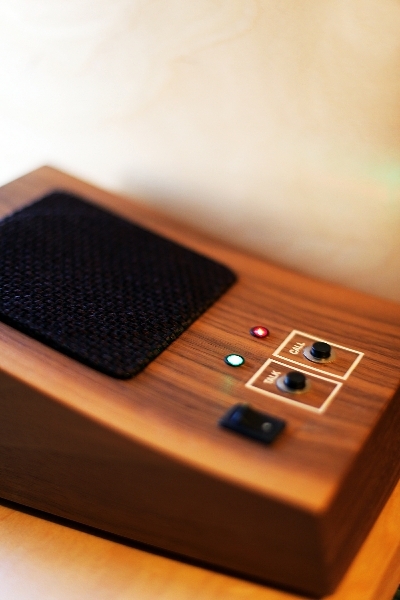 Once David was on board we mastered the recording and handed them off along with the printing template. We decided to print white ink on clear flexis to contrast the silver and black of various other items in our invite packages. Vinyl mastering was minimal as flexi audio quality leaves much to be desired we decided not to belabour the process, though some simple tips may have gone a long way, ie: center any low frequencies and assume anything below 40Hz or above 16Khz ain’t going to make it in. You can find more info here and here. You can also “simulate” what a recording is going to sound like on vinyl by either applying both a low and high pass filter or by running it through a VST such as iZotope’s Vinyl, which is what I’ve done for the simulated version below. As it turned out, even though David is based in Canada, a lot of international shipping is required, the plates from Europe and the flexis themselves from the U.S. (perhaps from Pirate Press after all, I’m not sure), but in the end it took about 4 weeks to get the flexis after providing everything required — and they looked great! A new needle for our portable record player from the good folks at Ring Audio in Toronto and we were off to the races. 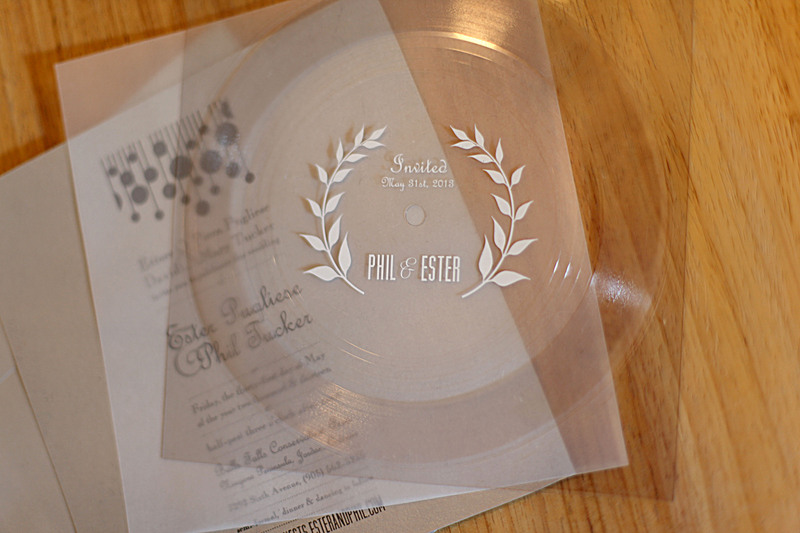 We paired the flexis with a sheet of translucent white vellum and stacked them with the rest of our invite package. The flexis are 7″ x 7″ and fit nicely into 7.5″ x 7.5″ envelopes — though these didn’t fit so nicely into some mailboxes. Another thing to keep in mind is that most paper places won’t stock this size of envelope, you’ll probably have to order them. We ordered ours from Paper-Papers and were quite pleased with the price and expedience, your local paper shop will most likely offer to order them for you but they’ll be ordering from the same supplier you can find online where you can have them shipped directly to you, without a markup. All said and done, the flexis alone came in around $750, we had to settle for a minimum order of 250, by no means the most inexpensive invites but they came with the added benefit of having our original song on vinyl and, as musicians, that gives us the warm fuzzies. After a neighbourhood dog decided my front lawn was a fantastic place to poop on and his owners decided that they don’t care for bylaws I set upon finding a solution. Sure you could try cayenne pepper, mothballs, ammonia or even marking your own territory (take that!) but I already had an IP camera monitoring my front yard for security purposes, so I figured I’d just hook up an Arduino and a sprinkler valve. 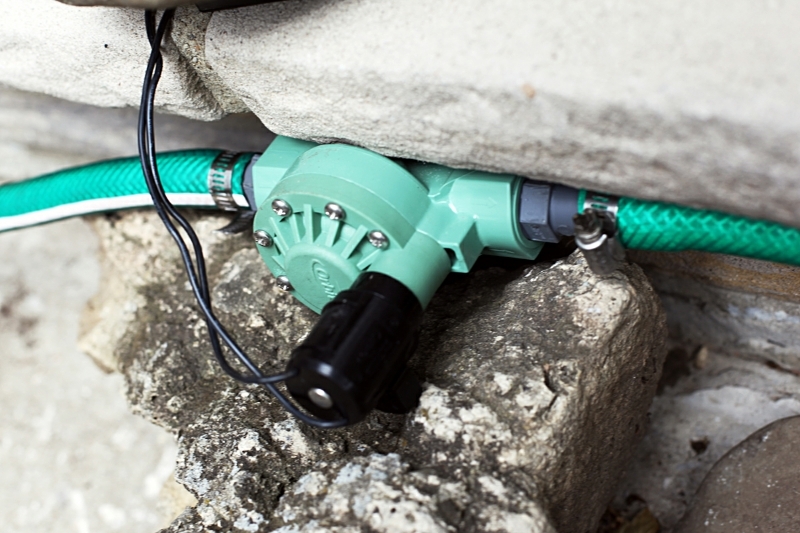 This yard defense solution has two added benefits, it keeps my lawn healthy (I can set up timed watering through this system) and it sends offending dogs home stinkin’ wet. From me having to shovel dookie off my lawn to negligent owners having to deal with wet dog — perfect. 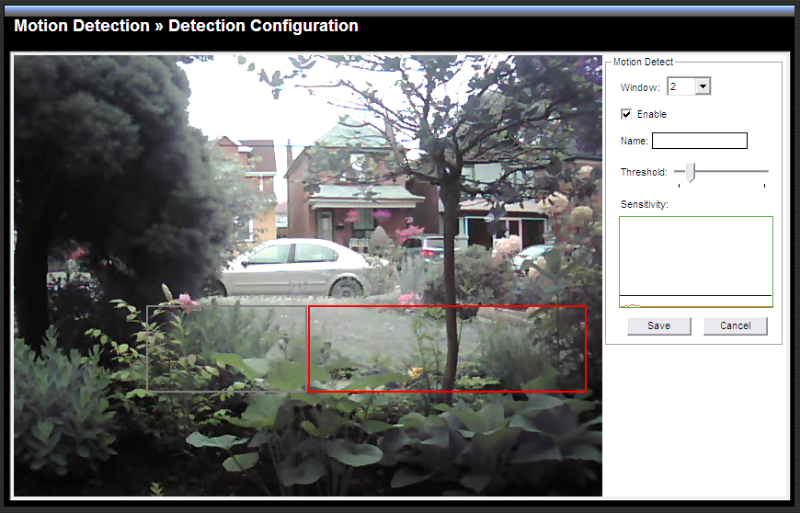 When the IP camera detects motion in configured regions of its video stream (the rectangles in the screenshot) it triggers one of its General Purpose Input/Output ports (GPIO). 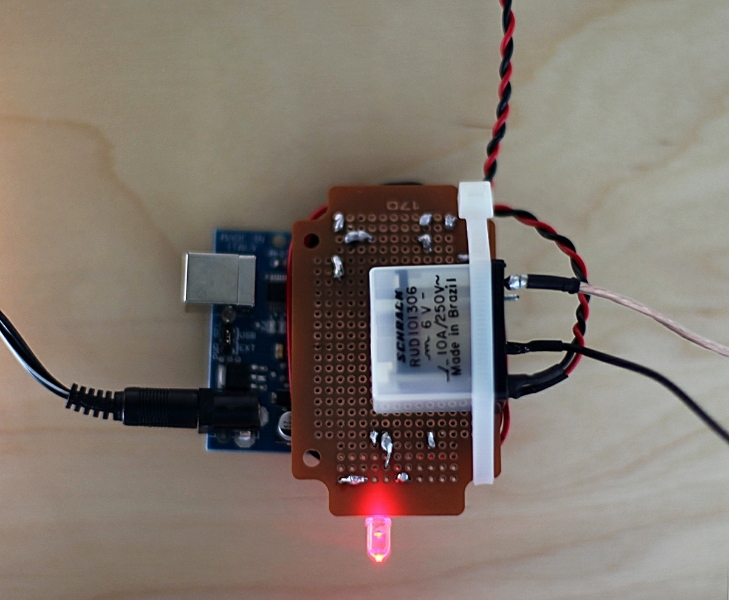 The Arduino is listening for this GPIO signal and once its received the Arduino triggers a relay which connects a 24v power supply to the sprinkler solenoid valve. The valve opens when 24v is applied to it and “sprinkles” whatever was responsible for the motion. The TRENDnet IP camera I employed works great as it already records video of events to network or attached storage, sends email alerts with snapshots and allows manual triggering of its GPIO. 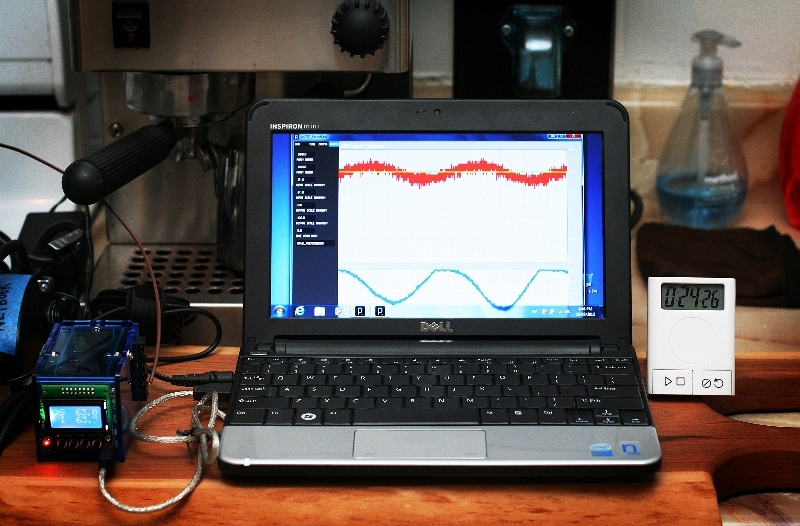 The TRENDnet monitoring plugin only works in IE but after some reverse engineering and C# coding I had an easy to use web interface for all browsers and mobile devices. If there’s enough interest I’ll post circuit and wiring diagrams. Ensure the valves you get are non-latching 24v solenoids, some 9v valves seem tempting but are magnetic and require a more complex circuit. Why Spaghetti? Watch more ATHF. Update: Some folks have asked why not just trigger the valve relay directly from the GPIO on the camera. 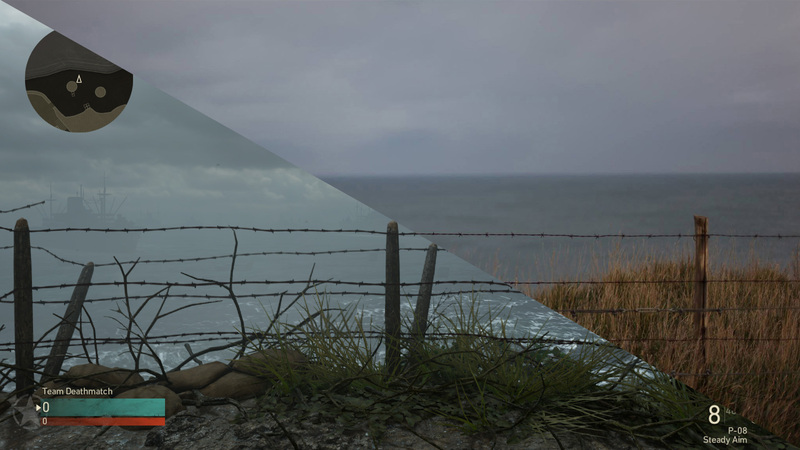 This could’ve been done, but then I wouldn’t have gotten as much control as I wanted. This way I can configure timing to prevent the sprinkler itself from setting off the motion detector, set up timed watering as well as trigger other devices at various timings (DSLR for reaction shots). 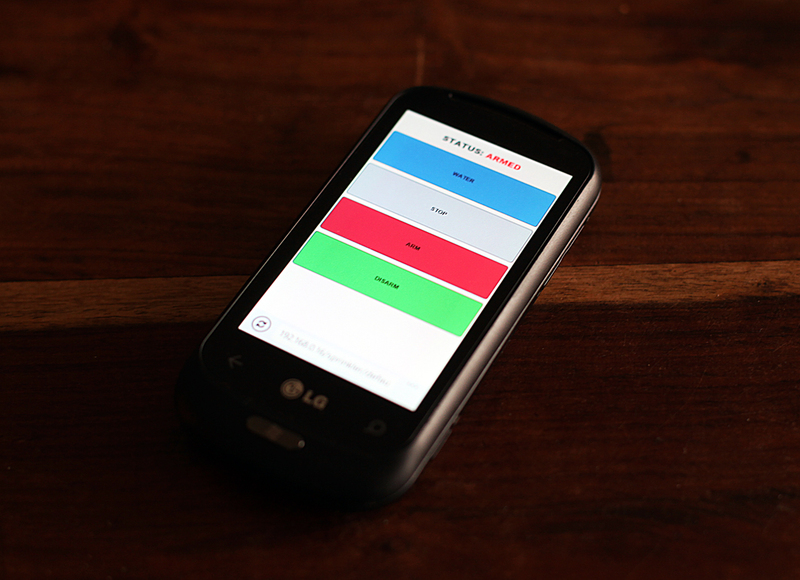 Another addition may be an XBee based remote control or hardwired buttons for various functions. 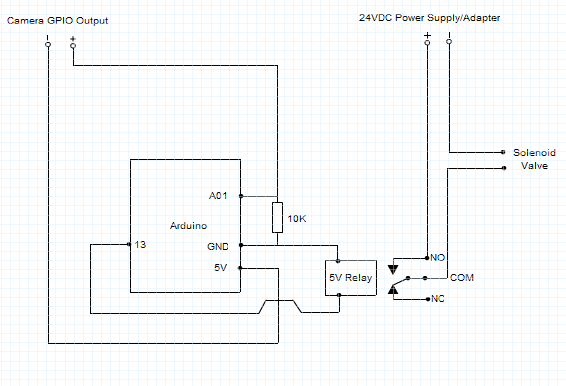 Update: I’ve added a quick circuit diagram and simple Arduino code. Who doesn’t like watching stuff in slow-motion? 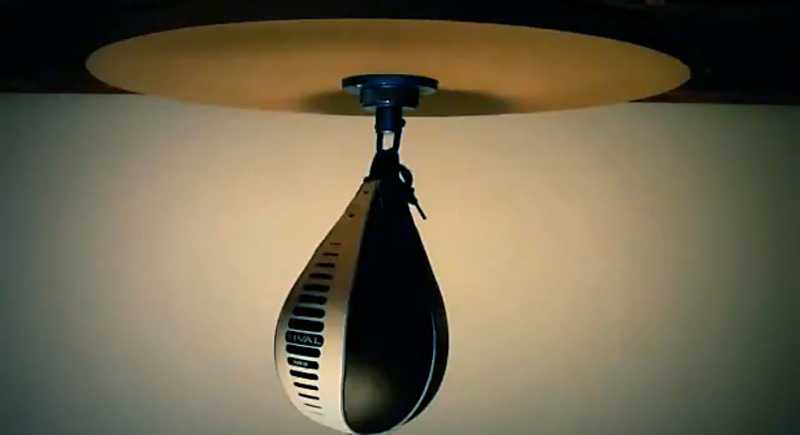 Ever since I added a speed bag to my workout I’ve been wanting to see exactly what’s going on in slow-motion — turns out, exactly what you’d expect. The camera I used was an inexpensive Casio EX-FC100, sadly off the market at this point, but its replacement, the Casio Exilim EX-ZR100, though a little more expensive is still a great budget high-speed video solution, especially if you catch it on sale. It seemed inevitable that I’d put together a sous vide immersion cooker, when I came across a post regarding the osPID I knew the time was right. 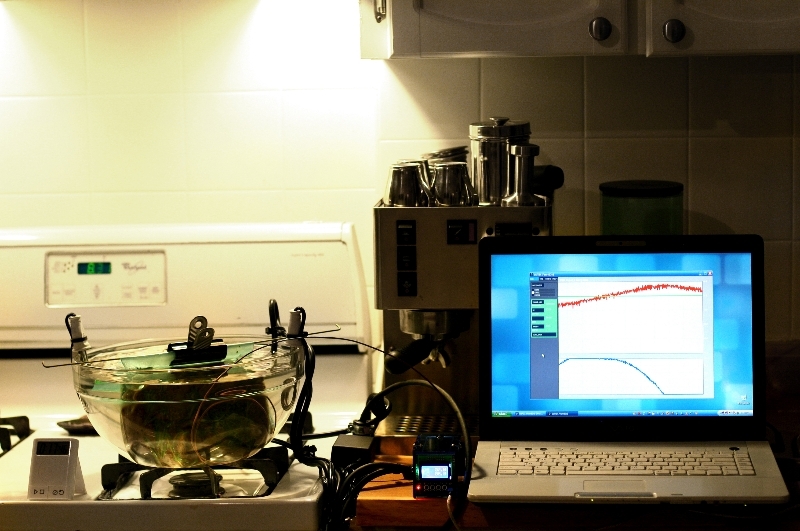 The osPID or Open Source Proportional–Integral–Derivative Controller is a device which can be employed to turn a heater on and off in such a way as to keep the temperature of an environment at a specific level — in this case a container of water used to cook sealed food, or a sous vide. What I liked about the osPID is that it’s more than just a PID, it’s a platform. 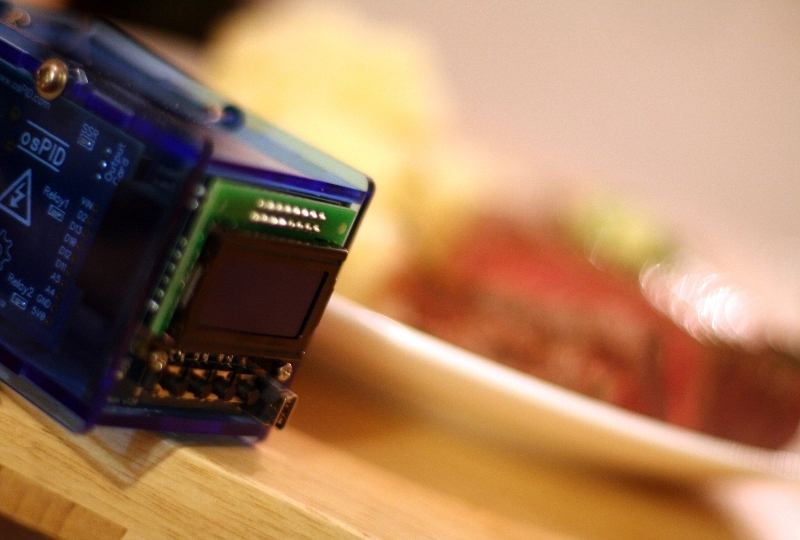 Programmable as any Arduino is along with four buttons, a two line LCD display (my favourite white-on-blue style) and limitless expansion possibilities, the osPID can be used in many, many applications — a sound investment I thought, so I invested. Can anyone spot the other PID in the gallery? 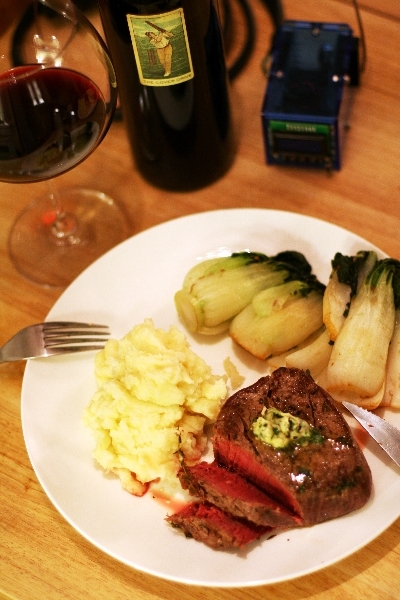 Commercial sous vide cookers can be extremely expensive. Creating one yourself is easy, it can be taken apart for storage and you can also salvage parts from it for other projects if need be. Once I had the osPID up and running, thanks to great support from Brett (one half of the dynamic duo responsible for the osPID), I cut the black (hot) wire of the extension cord and attached each stripped end to the relay onboard the osPID. By using an extension cord I can plug any type of heater into the relay, for this project I purchased two Norpro Water/Tea/Coffee Heaters which have a useful clip style base. Because the extension I wired only had one outlet I needed a power bar to plug both heaters in — whether or not you’ll need one will depend on how many heaters you want to use. I then purchased a K-Type thermocouple (don’t ask me what it means, K-Type is what the osPID supports), removed the connector it came with and connected the positive and negative leads to the thermocouple terminals on the osPID. 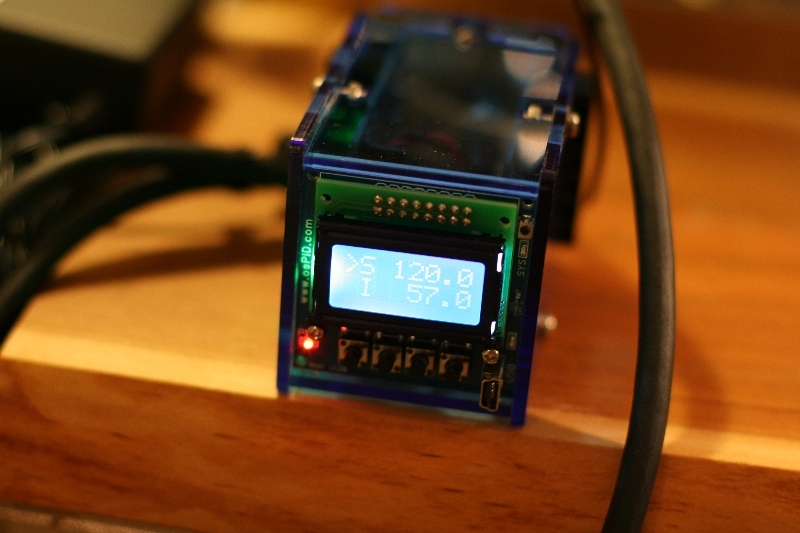 These terminals are polarized so keep track of positive and negative leads on the thermocouple while working. That’s it really. I purchase a circulation pump to keep the water moving in the vessel and thus heating evenly. I try to include a coat hanger in every project so I used one to suspend the ziplock full of tenderloin secured with a clip in the sous vide. Keep in mind the thermocouple will most likely not read the proper temperature until calibrated so just use a thermometer to find the target temperature and set the osPID accordingly. For me an input reading of 57 translated to the 130°F I needed for medium rare, so I set the osPID to maintain an input of 57. I would’ve preferred a larger bowl and will track one down, but the Beef Tenderloin With Lemon-Parsley Butter I cooked with my favourite gal turned out fantastic and we’re looking forward to more sous vide meals. Thanks to Brett for the swift support and for the osPID itself. Update: The Norpro Heaters stopped working on my second cook. This is probably due to the fact that I plugged them in before fully submersing the coils, that being said, many others have had these types of cheap immersion heaters die on them — so I included an alternate upgraded heater for those wishing to avoid the issue. Thankfully since I wired in a cord not the heaters themselves I was able to plug in another heat source for the osPID to control in order to get my dinner cooked. 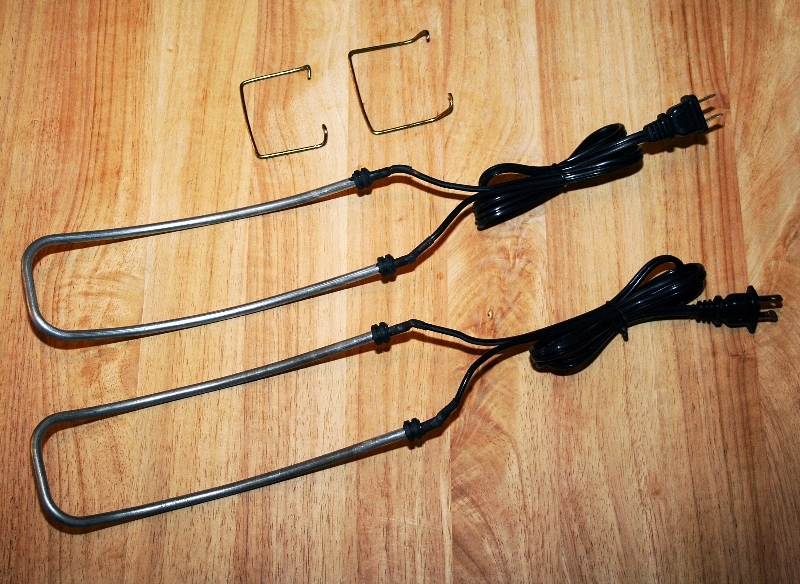 Update: To replace the Norpro Heaters I picked up a couple of heating elements at a local electronic surplus store (Active Surplus) for $3 each. 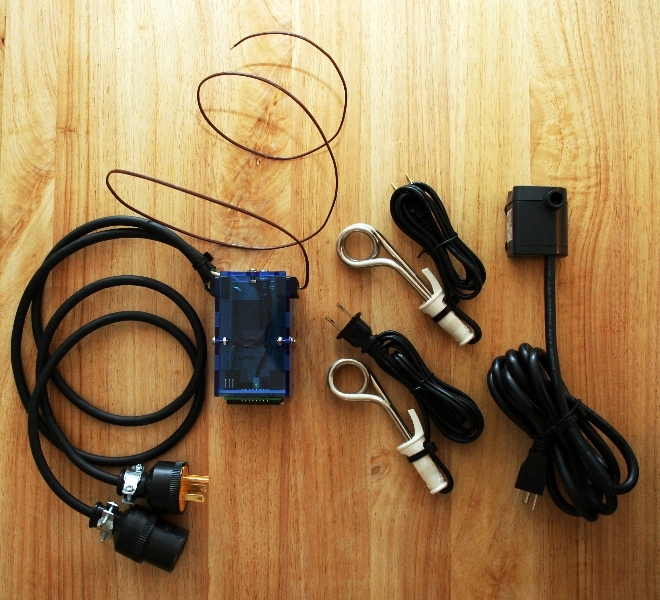 I snipped and soldered the Norpro power cords to the new heating elements and covered the connections with heat shrink tubing. 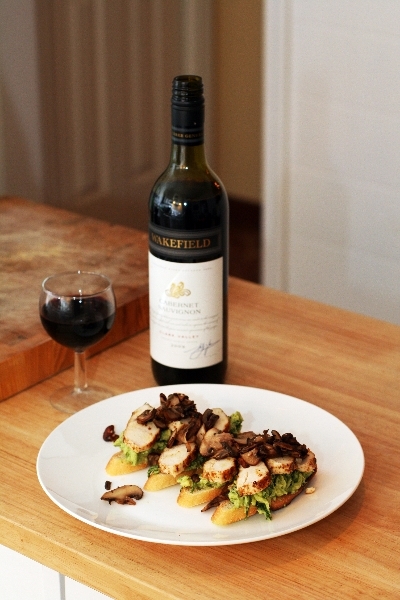 You can see the final results in the gallery above. These weren’t stainless steel but they work just fine, I bent them to follow the curve of the bowl (which I’ll probably regret when I switch to another container) and to keep them from slipping I fashioned some clips out of, you guessed it, left over coat hanger. 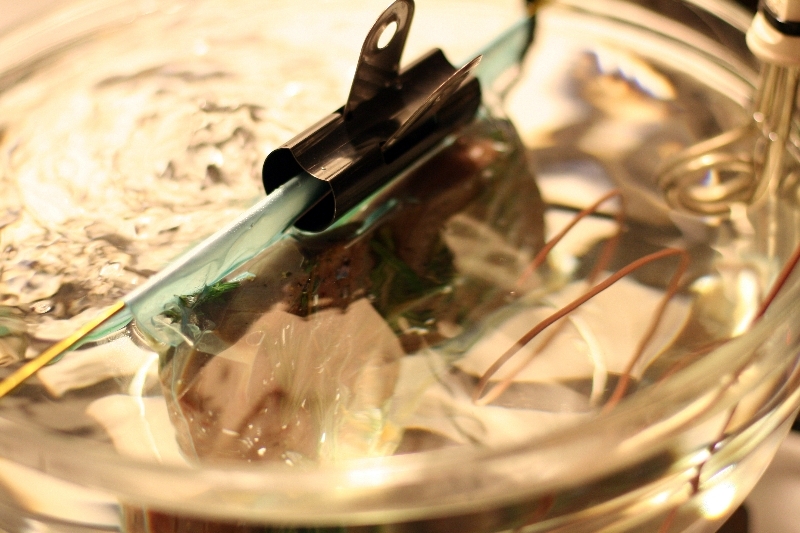 They’ll probably short circuit if both solder joints hit the water, heat shrinking or no – be mindful of that if you decide to go this route. I believe these are somewhere around 140 Watts, I needed both to maintain a temperature setting.